Find out about the latest Thames Discovery Programme, Thames-related and archaeological activities by clicking on the events calendar opposite or the list in the right hand bar. We regularly list activities and events taking place in Greater London and beyond that are led by other organisations, such as the Museum of London, the National Maritime Museum and Gresham College. Please refer to the articles or event organisers directly for the directions, costs and booking procedures for external events. For information about TDP events, please contact us directly. The TDP leads regular guided walks on the foreshore for adults, and families with older children / teenagers. These walks focus on the history and heritage of the river including those structures and features exposed by the movement of sediment in this dynamic environment, which are monitored and archaeologically recorded by the FROG. Some surface-only artefact handling may be permitted when attending a TDP foreshore walk, but all finds must be examined by the archaeologist on site, and significant artefacts must be recorded with the Portable Antiquities Scheme. 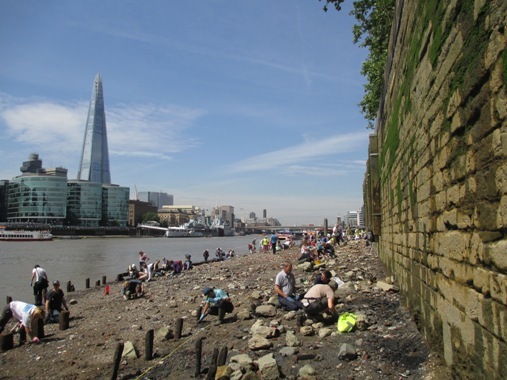 Please be aware that if you wish to regularly search the foreshore for artefacts at other times you must be in possession of a Permit to Search the Foreshore, issued by the Port of London Authority. We also offer gentler strolls along the Thames Path. Please keep an eye on this page for further details. 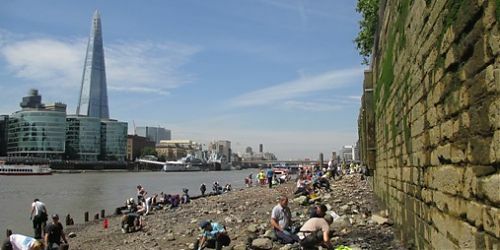 Other organisations such as the Thames Explorer Trust and the Creekside Centre also run a programme of foreshore walks. Please contact those groups directly for details of cost, meeting location and how to book. This website advertises a number of walks, seminars, lectures, courses and conferences organized by external organisations. We are committed to providing the highest standard and quality of information and every attempt is made to present up-to-date accurate information. However, the Thames Discovery Programme gives no warranty as to the accuracy of the information on the website. Please contact the organisations directly for information about timings, costs and bookings.